Another important surname in my family tree is Templeton. 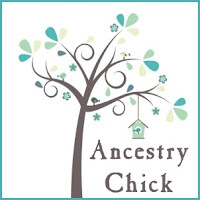 So I am featuring that line in my tree for this week's Surname Saturday post. The nearest Templeton ancestor that I have in my tree is my great, great grandmother, Susan Eleanor Templeton, who married my great, great grandfather, Alexis Elihu Kephart. I've mentioned both of these ancestors before, including the recent Surname Saturday - Kephart post that I did. According to the Surname Database, which follows along with Ancestry's surname info, the Templeton surname is primarily Scottish, and it appears in Scotland before the time of Robert the Bruce. They also note that, "The origination is from the village of Templeton in Ayrshire, and it is in the counties of Ayr and Lanark that the name is most predominantly recorded. The derivation of the name is from the pre 7th century Olde English 'templ' referring to a pre-Christian place of worship, plus 'tun', a village or homestead." My mom traced our Templeton lineage to one Andrew Templeton, born 07 August in 1786 in New Hampshire. But that's as far as she, or I for that matter, have gotten with our Templeton line. The problem is that there is more than one Andrew Templeton from that same area and time period. So there's lots of conflicting information and confusion, particularly since they all seem to have lived in New York at some point and had children there. So it gets a little sketchy. Fast forward a bit to the birth of my 3rd great grandfather, Isaac Hollister Templeton, born 02 August 1830 in Middle Granville, New York. His story is intriguing. Family tradition says that he was born as John Dexter Templeton, but that his father died before his birth and his mother was unable to care for him--having 7 children already--and thus he was given to close family friend, Isaac Hollister (born 1796 in Glastonbury, CT) to raise. So John Dexter was given the name of Isaac and was raised in the Hollister family. Isaac/John Dexter is enumerated with the Hollister family in 1850 in Rock Island County, Illinois. When my Isaac reached manhood though, he took back his Templeton surname and thus became Isaac Hollister Templeton. Isaac would later marry my 3rd great grandmother, Jerusha Harmon Sutton and they would have at least five children. One of their children was given Isaac's original birth name, John Dexter. 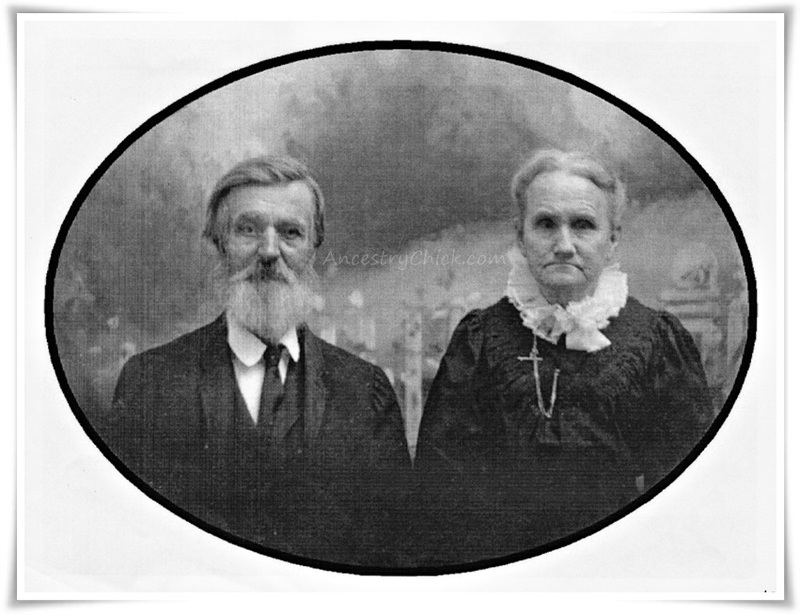 And another was given the name of Isaac's adoptive brothers from the Hollister family, Edwin Hall. My mom's research indicates that the death of Isaac's father, Andrew has not yet been documented. I'm still looking for that information, as it may provide us with more details about Isaac and his adoption by the Hollister family. A family story describes Isaac as "a tall, thin man, looking much like Abe Lincoln, and had an abrupt way of speaking. When the weather was cool, he always wore a long, black overcoat. He never buttoned it though - just pushed it back and walked with his hands in the pockets." My mother noted that during the winter of 1913-1914, Isaac had a stroke and was completely paralyzed. He died in April, 1914, four months before his eighty-fourth birthday. Isaac was borne to Cardwell Chapel Cemetery on a spring wagon drawn by a pair of matched grey horses. I have much more research to do on this ancestor. Such interesting tidbits that need to be further explored! And I hope to eventually find many more Templeton ancestors to fill my family tree.